Elvis Today: Which shows will it be? Here I am, waiting patiently for my July FTD releases to arrive, while at the same time thinking about the upcoming October titles, that were announced a couple of days ago. I think it's great that the opening show from August 1974 will be part of the package. After all it's a very different show, opening with "Big Boss Man" and including such gems as "Down In The Alley" and "Good Time Charlie's Got The Blues." The question, of course, is what else this double CD set will have to offer. I for one would gladly like to see the rehearsal from August 16 included, but then we'd have a blueprint of the bootleg From Sunset Boulevard To Paradise Road, so I guess that's out of the question. Instead it will most likely be another show from the engagement. That Elvis Country will be among the October FTD releases is logical, following in the steps of That's The Way It Is and Love Letters From Elvis. As my brother told me on the phone the other day, it will then be possible to make one's own complete "Nashville Marathon" compilation, putting all the released takes of the songs in the order they were recorded on six 6 CD's. Last, but not the least, Elvis In Person will be an interesting release. Strictly speaking, it was first put out as part of the double album From Memphis To Vegas/From Vegas To Memphis in 1969, but as it was a solo release one year later and a fantastic album, who am I to argue? The big question mark is how it will be handled by Ernst Jorgensen and his crew in the classic album format, being strictly a live album. 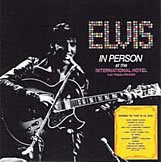 It must have been easier working with Elvis Recorded Live On Stage In Memphis, in that case they only had to add the songs from the concert missing from the LP. 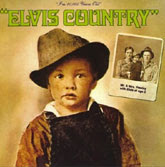 But when it comes to Elvis In Person, where the songs are taken from a couple of shows, it's another ball game. Me and my brother's guess is that the first CD will include the original album plus unreleased masters and the second one a complete show. Which one? Your guess is as good as mine. "Here I am, waiting patiently for my July FTD releases to arrive, while at the same time thinking about the upcoming October titles, that were announced a couple of days ago."